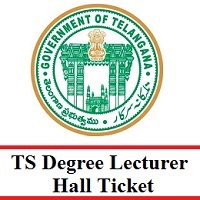 TS Degree Lecturer Hall Ticket 2019 Is Out: Candidates who are eligible to attempt the Degree Lecturer Written Test need to stay on this page to get the exact details. And the officials of the Telangana Residential Educational Institutions Recruitment Board (TREI-RB) made the availability of the TS Degree Lecturer Admit Card 2019 on 7th February 2019. So, all the candidates who have applied for the 466 Degree Lecturer Posts through the official notification must focus on this page. So, you can download your తెలంగాణ రెసిడెన్షియల్ ఎడ్యుకేషన్ ఇన్స్టిట్యూషన్స్ రిక్రూట్మెంట్ బోర్డ్ DL Admit Card 2019 online only from the official site of TREIRB @ treirb.telangana.gov.in. 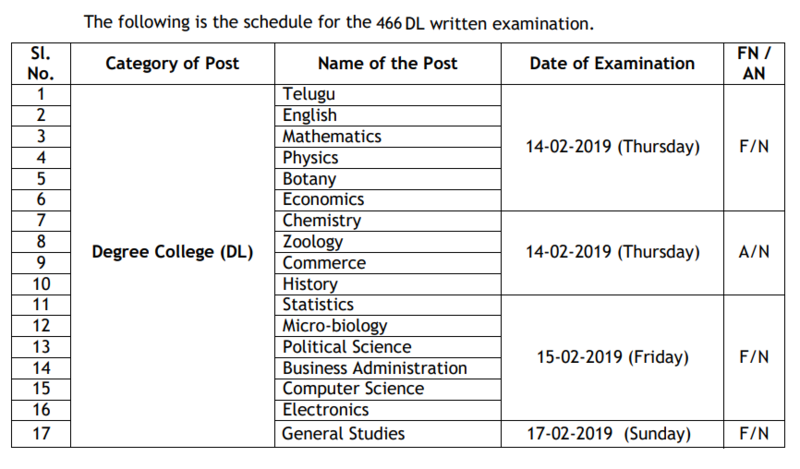 Moreover, the officials have scheduled the TS Degree Lecturer Exam Dates 2019, which is to be conducted on the 14th, 15th, 17th February 2019. Observe the given TREIRB Selection Process and the direct link to Download TS Degree Lecturer Hall Ticket 2019 is at the end of this page. The తెలంగాణ రెసిడెన్షియల్ ఎడ్యుకేషన్ ఇన్స్టిట్యూషన్స్ రిక్రూట్మెంట్ బోర్డ్ officials are planning to perform two rounds through the TREIRB Selection Process 2019. And the rounds are given as follows. The final selection for the post will be based on total marks secured in the written examination of paper-I, II, and demonstration. So, get ready with all the required to complete the TS Recruitment Process. Candidates who are ready to take part in the treirb.telangana.gov.in Written Test for the Degree Lecturer post need to have a glance over the below image. Furthermore, if given you an overview of the TS Degree Lecturer Exam Dates 2019 which are declared by the officials on their webportal. By the way, they are ready to conduct the candidates who are attending with their valid Admit Cards. Soon after downloading your TRIERB Admit Card 2019, check the details mentioned on it. If any of the details mentioned wrong, then you must intimate the issue to the officials, so that they will soon return it with modifications. Along with the TS Degree Lecturer Admit Card 2019, all the candidates need to carry any one of the below mentioned documents. And these are for the identification purpose. We have embedded all the set of instructions to Download TS Degree Lecturer Hall Ticket 2019 from the official site online. So, check them and move further. First, visit the Official website of Telangana Residential Educational Institutions Recruitment Board (TREI-RB) @ treirb.telangana.gov.in. Then, you will see a Homepage on the screen. Now check Download admit card link under the What’s New section. You need to fill the details like Application No, Password, and the Security Pin. Once, clearly check the details you entered. You can download your TREIRB Admit Card 2019. Also, take out the printed copy for further usage. After referring to this article, you need to get ready to download your TS Degree Lecturer Hall Ticket 2019. So, get the more updated information only on our Freshers Now web page.